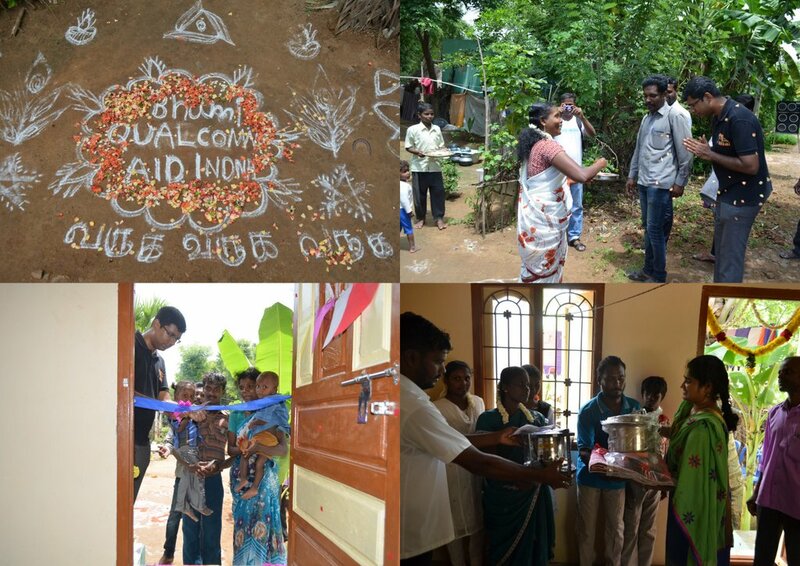 The century’s worst flooding hit Chennai and other parts of Tamil Nadu in December 2015 Qualcomm Incorporated, through its subsidiary Qualcomm India, partnered with Bhumi to rebuild educational infrastructure in some of the worst affected schools in Chennai and towards construction of houses in underprivileged communities in villages in Tamil Nadu. 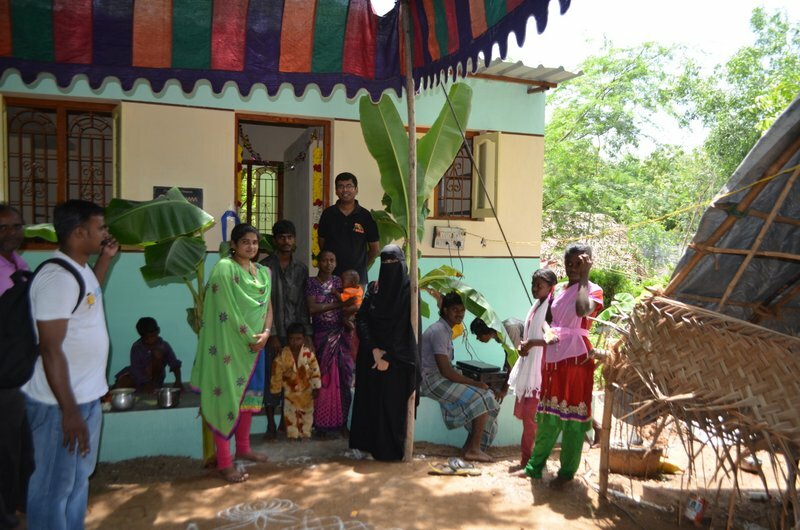 The low cost housing is implemented under the Eureka Homes model supported by the ever supportive and energetic team at AID India. Annamuthu is a resident of Kuyilkuppam village in Thirupporur (Kancheepuram district). He resides with his grandmother who is sixty years old, his wife Sumathi and their children Bhupati (age 3) who goes to the nearby Balwadi and Kathirvel (4 months). The land that their hut is built on was inherited from Annamuthu’s father. During the floods they were stuck in the same area while water flooded up to their knees. 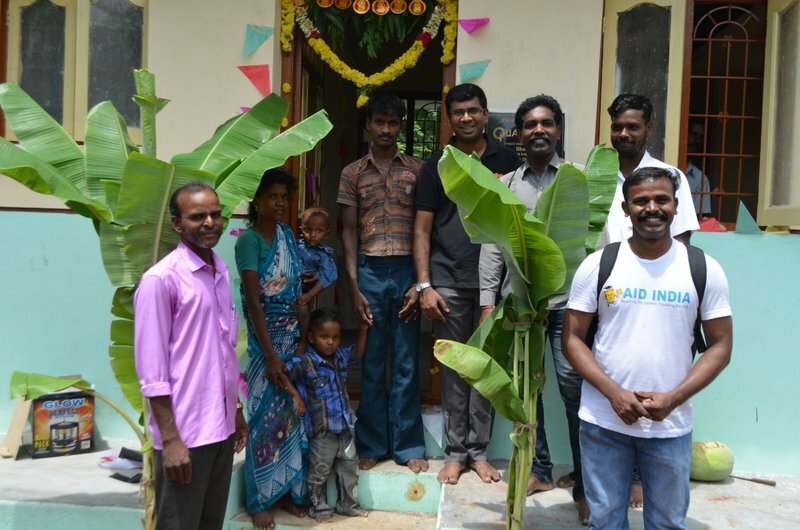 Annamuthu says he is very happy when we approached him to help him rebuild his house. 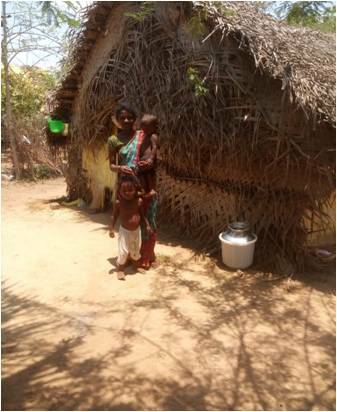 Mani and his wife, Chithra, live in a small hut in Kuyilkuppam with their children, Dhinesh (age 3) and Vignesh (age 1). Both the children go to the nearby Balawadi (nursery). Mani is a lumberjack and the monthly income of their household is only about Rs. 2000. During the heavy flood, they stayed in the high school nearby and prepared their food themselves. They now have hopes to return back to a proper home that will keep their young children safe. 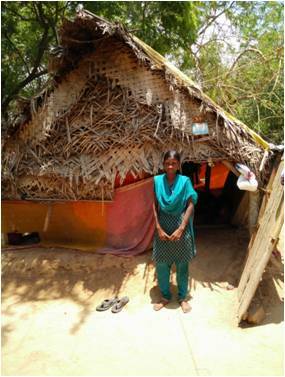 Moorthy and Ammu are daily wage labourers in Kuyilukuppam village. Their joint monthly income is only about 2500 rupees. They have two children, Rathi (16) and Saravanan (12). Ammu is at the hospital undergoing treatment for chest pain. 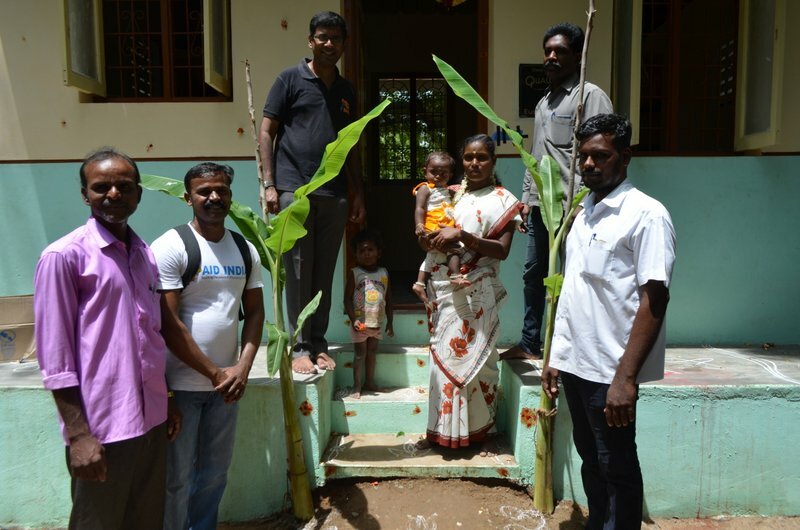 During the flood they took refuge in a nearby high school .Moorthy hopes that his family will move into a pucca house one day with help from Eureka Homes, supported by Qualcomm. Suresh is a resident of Kuyilkuppam village. He works in the nearby fields as a daily wager and makes about 500 rupees per day. His family comprises of his wife Mythili and six children. Chinnarasu is the eldest child of the couple, he is twenty years old and is unemployed, he was adopted by the couple at the age of ten when he was homeless. The next two sons are Aravind (14), who is an 8th standard student of Chemmancheri Govt School, and Sasikumar (8) who is studying in 3rd standard. 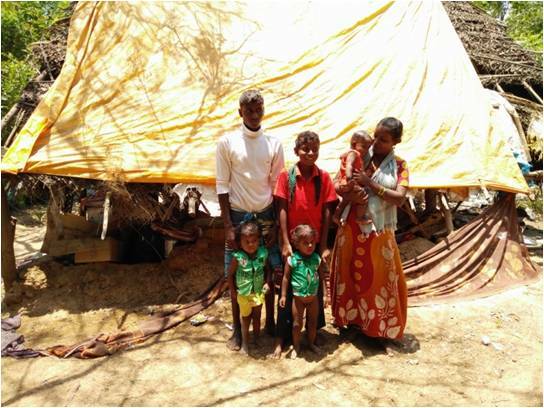 The couple also have a pair of twins Mani and Manoharan (2) who go to the nearest Balwadi and an infant daughter Suhasini (6months). During the floods they sought refuge in the nearby high school as all the walls of their house were destroyed during the floods and even the roof came down. The family has put some tarpaulin sheets and build a temporary wall to support the roof. 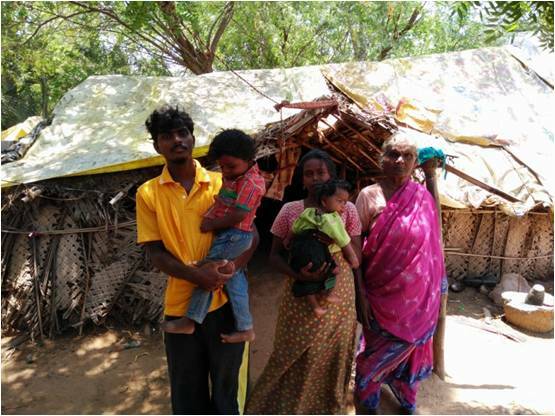 The low cost housing programme is to replace damaged huts, though delayed by the elections in the state of TN, has improved the flood resilience of 20 families in the following villages outside Chennai. Families were carefully chosen through door to door surveys and village community level meetings. The huts or whatever was left of them after the floods had ravaged the villages were replaced with 200+ sq ft houses in the same location. The construction not only involved the villagers in the construction of their home but also allowed them to make small customizations and choices in how they wanted their homes to be. Bhumi is thankful to the teams at Qualcomm, Eureka Homes and AID India for facilitating this project.